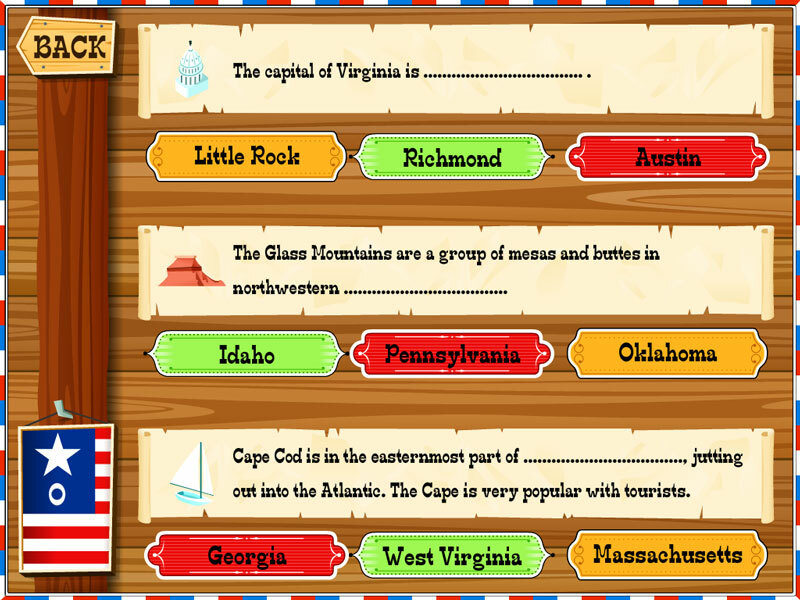 A highly educational interactive app with lots to learn and discover – learn about US geography in a fun and engaging way. 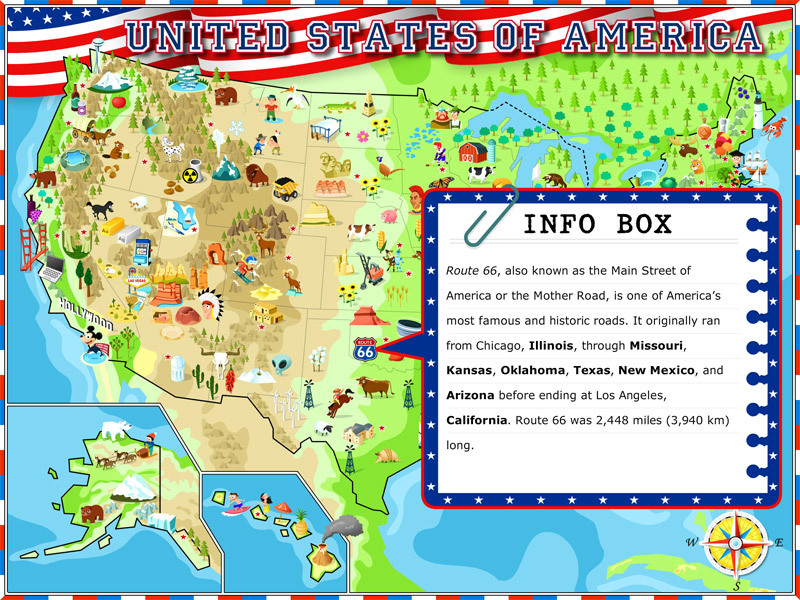 Explore an exciting illustrated map of the USA and discover nearly 200 natural wonders, historical places, monuments, buildings and state symbols – all with fascinating facts and information. Learn using interactive maps, cool to know facts, references and interactive games. Touch any icon, state, landform or river to learn and know more about it. All information and fun facts are very accessible for the target age group. 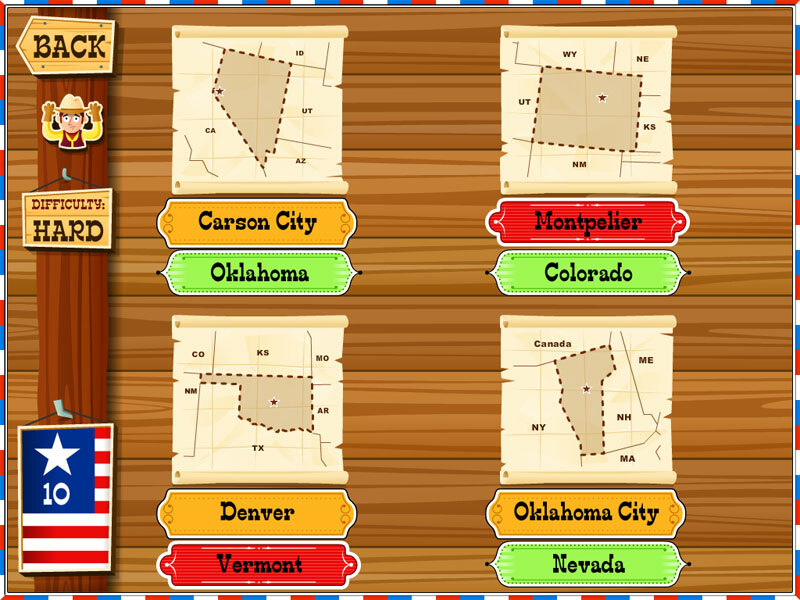 Get to know the shapes, locations, capitals and a lot of facts and figures about each of the 50 states. The app can be used for primary education in elementary schools or at home. 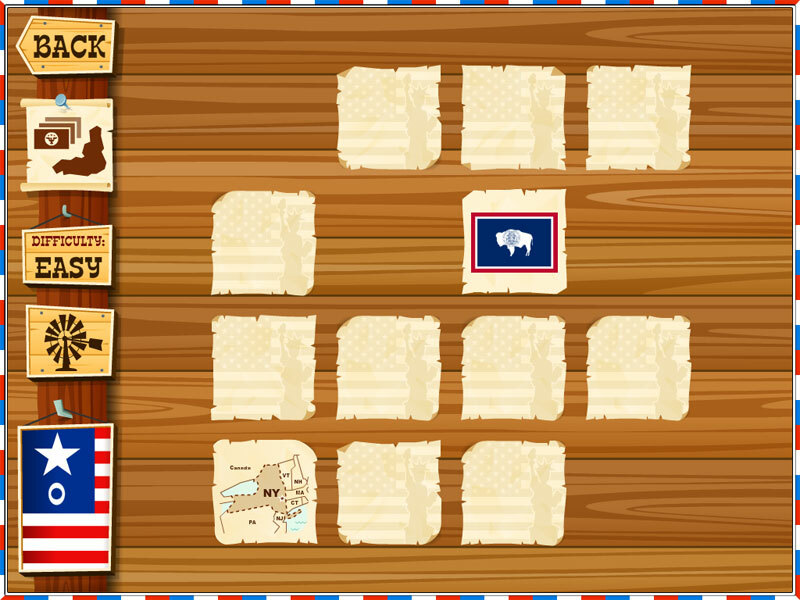 This educational app will teach children different areas of the curriculum - geography, history, reading skills. Please email us at email for any help & suggestions or ideas. Our users are very important to us and we would appreciate if you can send us any kind of feedback you may have - we take it very seriously. If you like the app please leave us a review - the easiest way is to touch the stars in the "Parents" section. We appreciate your ratings and reviews! 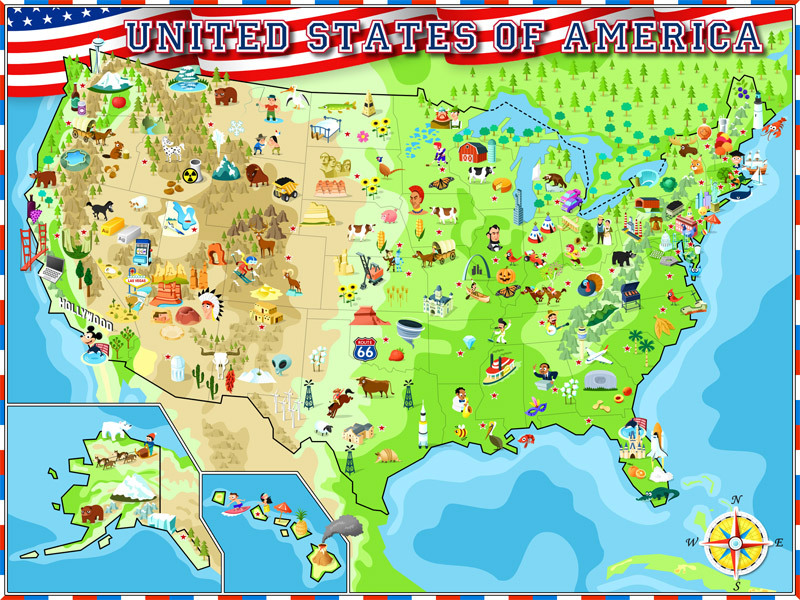 Illustrated map of the USA containing nearly 200 colorful cartoon images related to each state, showing places and landmarks with cool facts and descriptions - a fun and engaging way to introduce kids to US geography. 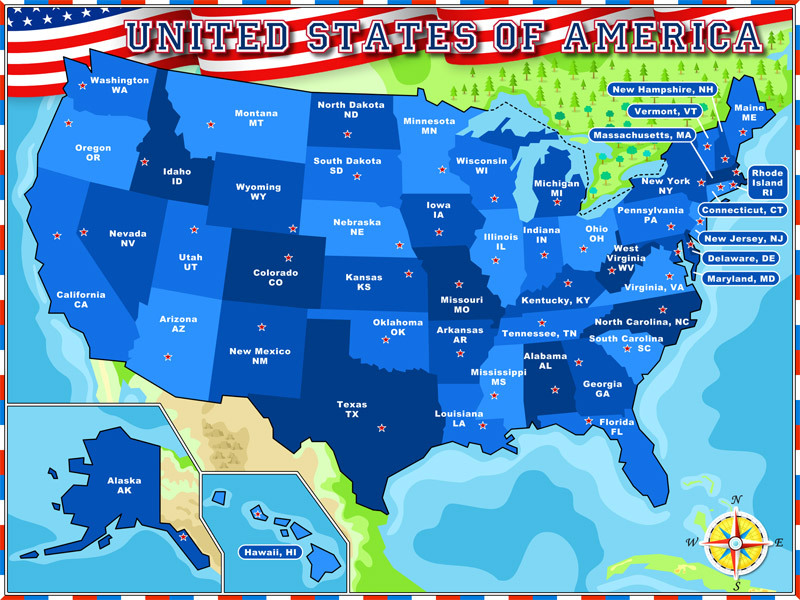 Map of states and their capitals - find information in Fact Boxes - nicknames, mottos, abbreviations, dates of admission to the Union, capitals, largest cities, populations, geography facts (area, width, length, highest and lowest point), state symbols, flags, seals, and much more. 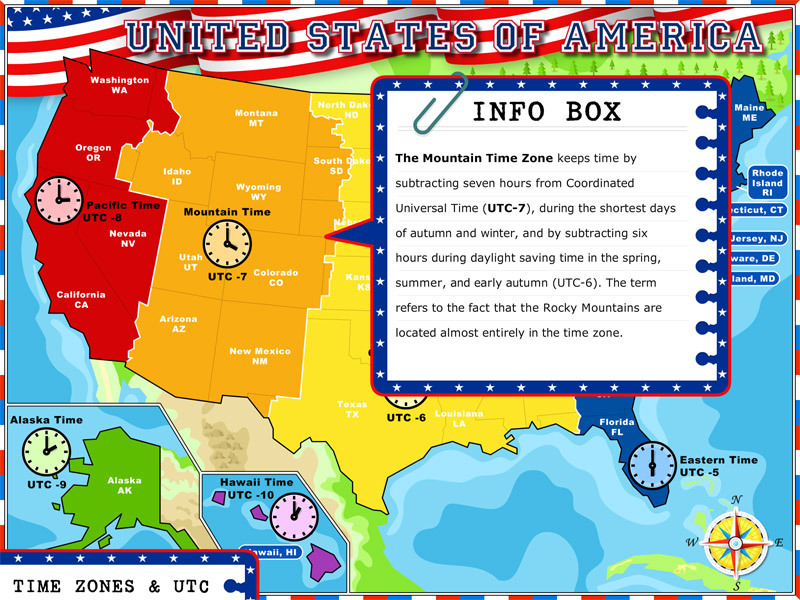 U.S. time zones map with a description of each zone. Also find out more about UTC and GMT. 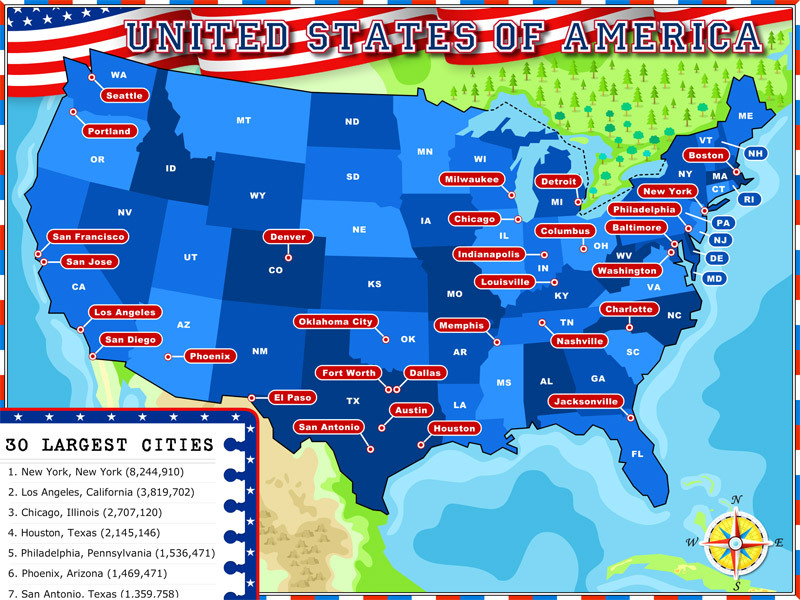 Top 30 cities - learn where the major cities are located and how many people live there. 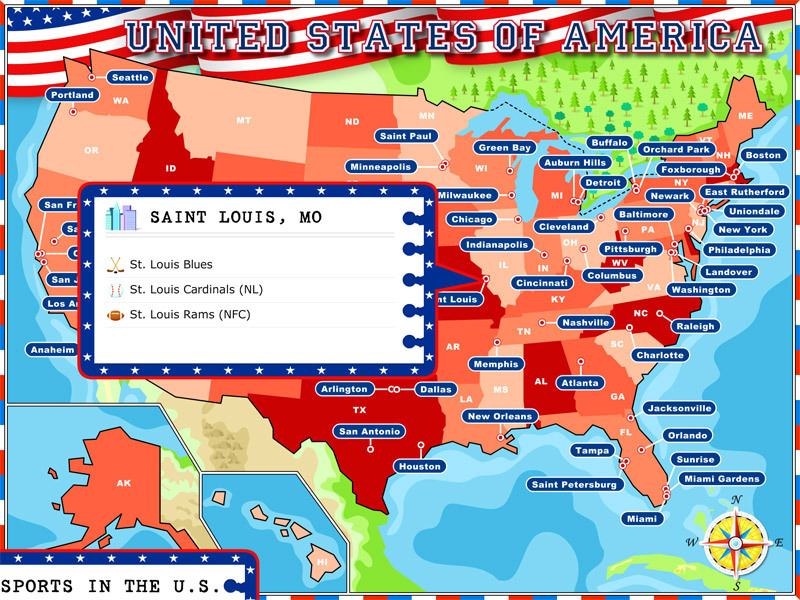 U.S. sports teams map - learn the names and locations of all teams from the NBA, NHL, NFL and MBL. Map of mountain ranges including descriptions, plus a scrollable list of the 20 highest mountains and the states where they are located. Map of major rivers - every river with a description plus a list of the 10 longest rivers. Match the shape of the state with its name and capital city. Choose your difficulty level - easy (only the name of the state) or hard (both name and capital). 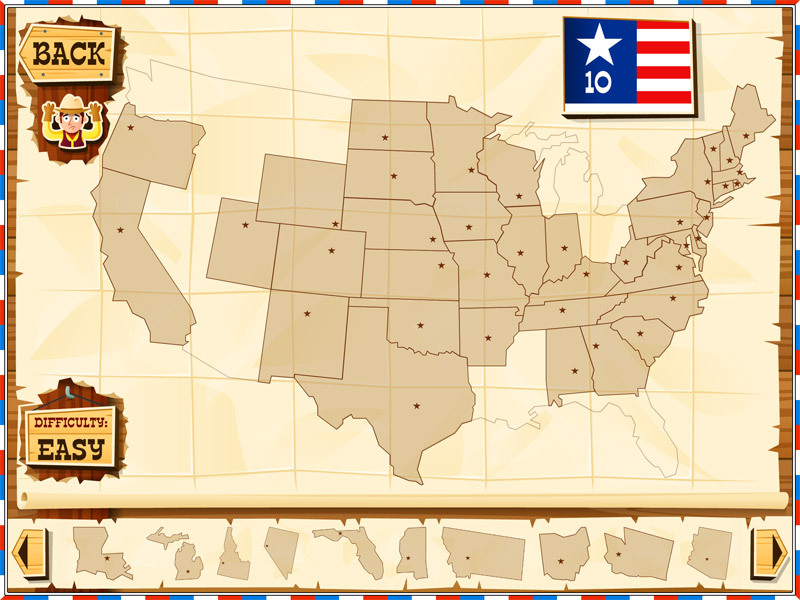 Find pairs for each of the states - shape and flag, shape and seal, or seal and flag. Choose your difficulty level - easy or hard (16 cards vs. 30 cards). 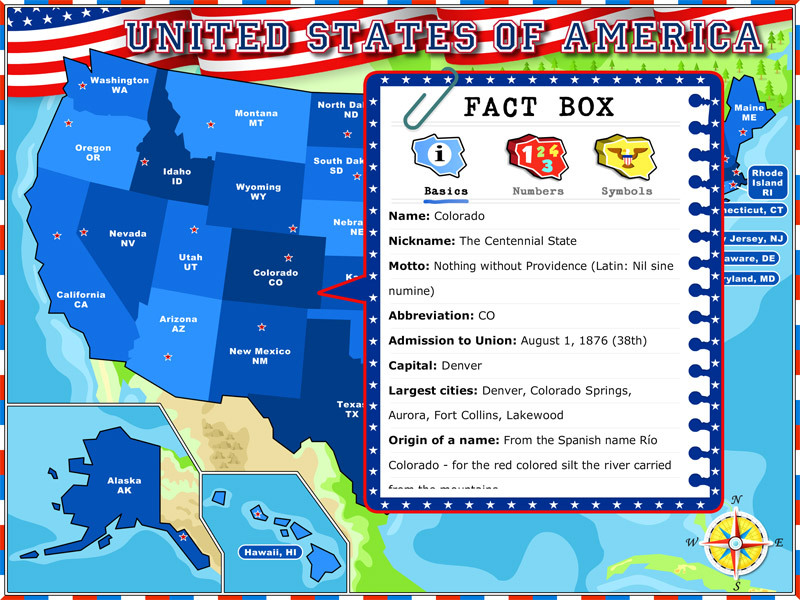 Drag & drop state capitals or state names to their positions on a blank map of the USA. 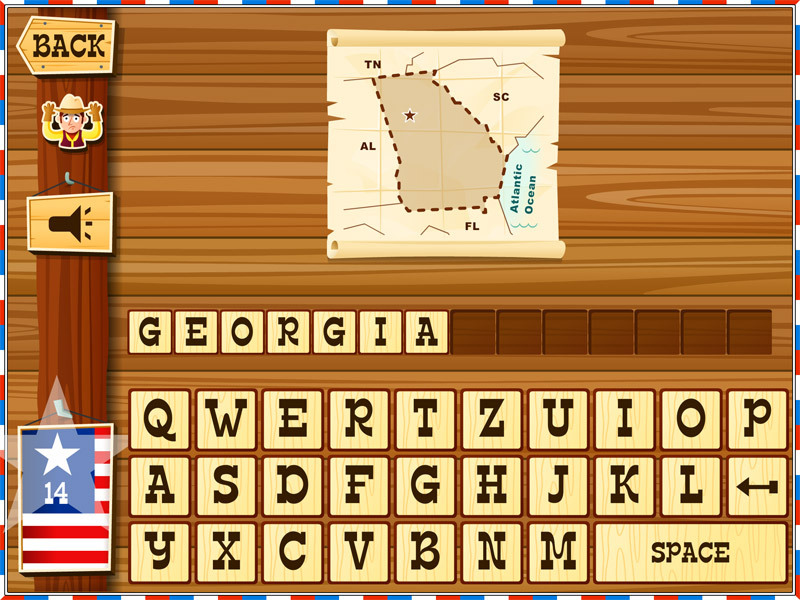 Spell the state - show you can spell the names of each of the 50 U.S. states. 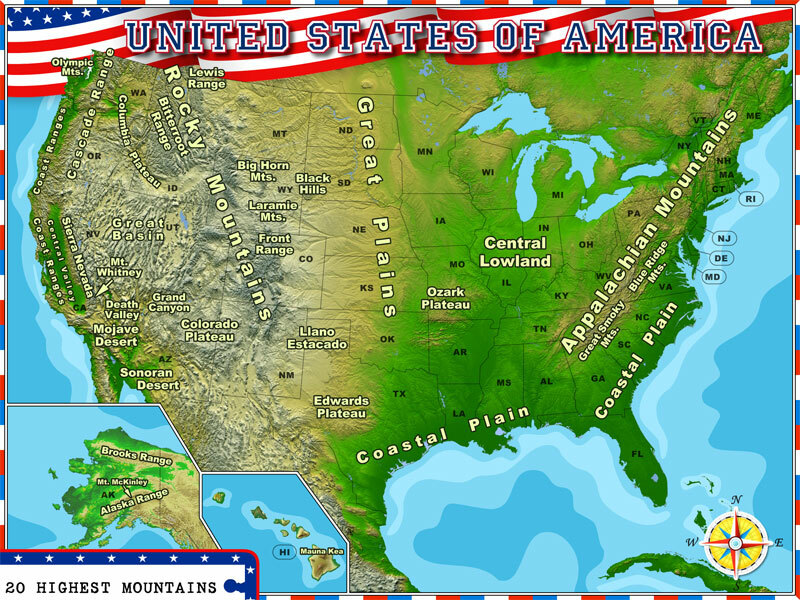 Put the puzzle pieces of the U.S. states into the correct locations on a map of the USA. In every game you earn stars. 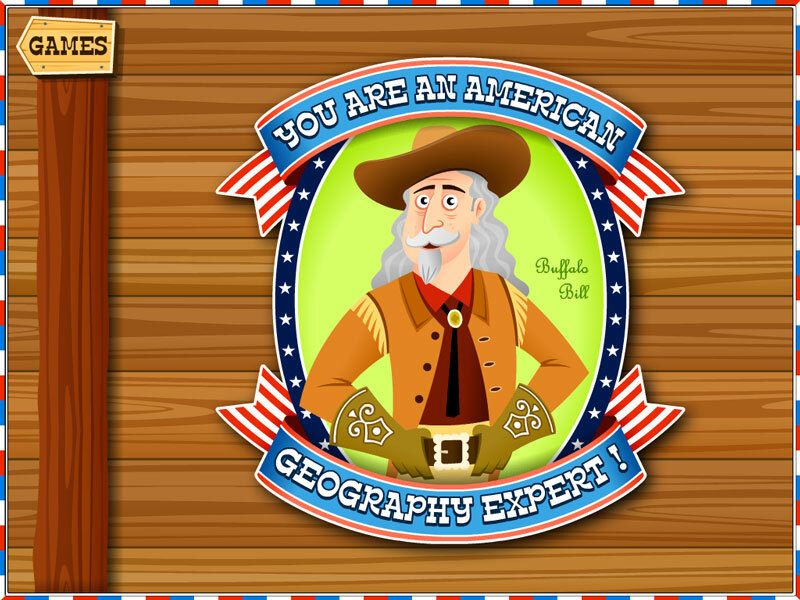 Collect 50 stars and get US geography expert badges (bronze, silver, gold, platinum).